The weather is changing, it’s wet, it’s grey, a Rest could end up very soggy very quickly. I have selected a slightly sheltered spot for the latest intervention. Near the running track in Ladywell Fields (known rather grandly as ‘Ladywell Arena’) is a funny little shelter. It doesn’t have benches, but sort of perches, somewhere to rest your bottom, so perfect really. I often see small groups of people congregating here, so it is a well-used spot. I placed my Rest yesterday when the sun was shining and the Autumn leaves were glowing, I will pass by later on and see if it’s still there. 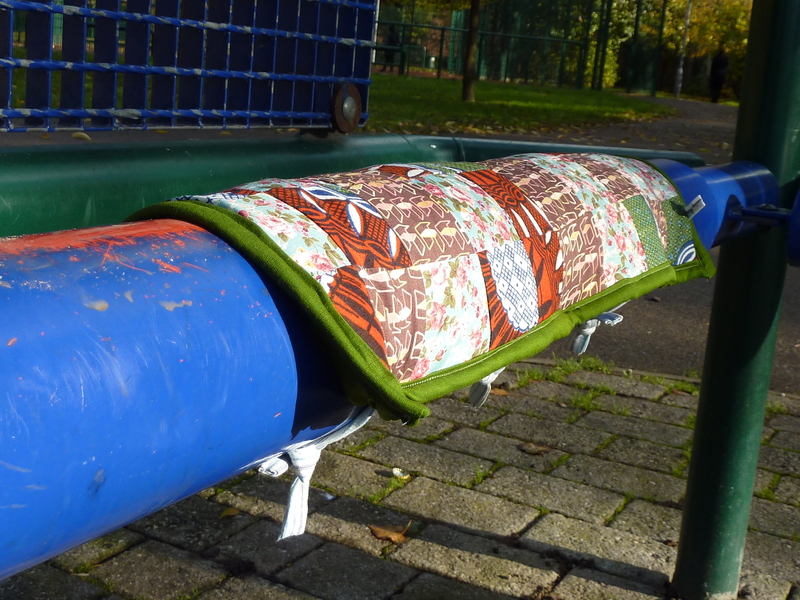 This entry was tagged Intervention, Ladywell, Ladywell Fields, Ladywell Reading Room, Park, Patchwork. Bookmark the permalink.